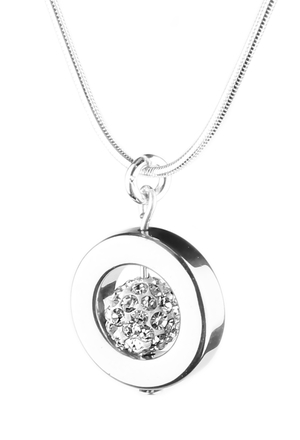 Brighten up your jewellery box with this beautiful, silver-plated hematite and crystal necklace. This is an easy-to-wear piece, that will still feel timeless in years to come. Perfect for a gift, or an elegant choice to wear for a wedding. Supplied with a sterling silver chain in different lengths.